The blockchain and cryptocurrency topology that stands on it is a finding that has made a real contribution to the growth of the world economy. From the side of the community, this provides an additional income and some even use all the time just to try to fate the community. Blockchain has given a new profession to its community that is the opportunity to perform mining activities in digital or familiarly called mining. There are so many methods that can be done to perform this mining activity, there are using various mining devices that can be purchased from various sites selling and buying online. There are also those who use cloud mining services and so on. This time I will introduce a newcomer company that offers something unique and interesting for cryptocurrency miners especially those who use proof of stake tokens or commonly referred to as post tokens. 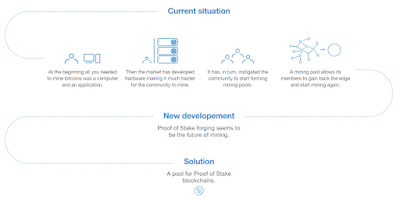 They called the project the name Pool Of Stake. What is the product like and what do they offer? See the explanation below. Of course for those of you who have probably even been mining with the Proof Of Stake (POS) method already know how easy it is to mining with this method. 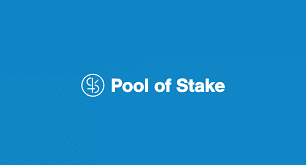 Pool Of Stake, hereinafter referred to as PSK, is a pool or a container for miners using POS. All POS tokens can come together and gather here to produce higher mining every day with mining 2.0 (better version). Surely this is good news and a fresh breeze for the miners and gives the future a better blockchain. The PSK itself is a self-regulated platform or can be set alone that is unique to the POS blockchain. The goal is to increase benefits for small investors who join the platform. With the help of the PSK platform, these small investors can increase their mining yield potential. The platform will offer an analytics tool for all of its members that helps them to make informed decisions in order to produce high mines. What after reading the explanation above? 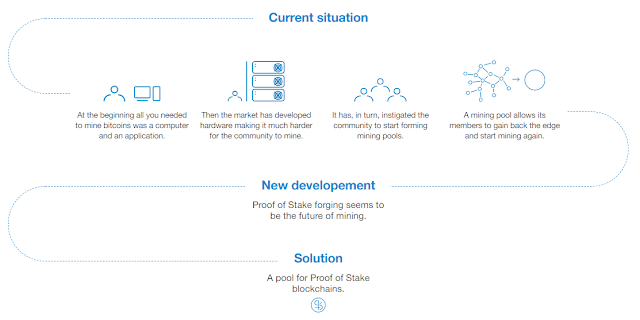 Even though it is still very simple, it can be concluded that Pool Of Stake is indeed very innovative and unique. Their idea and their service platform will certainly be very supportive for the activities of the miners. It is for those of you who agree to the realization of this project and may be able to analyze the profits earned from investing immediately to buy their tokens. Below I have a little information about the details of the ICO they carry out. Their tokens will be labeled with PSK tokens with a rate of 1 pSK equal to 0.22 EURO. Their total token supply is 70 million PSK token which in the first 6 months of available tokens is about 76.1% of the total inventory which will then be provided in the range of 6 months, 1 year, and 2 years. For the minimum sales target is 2 million EURO and its maximum target is 8 million EURO. As a preliminary and reinforcing information that they have achieved the minimum sales target and currently have managed to raise around 2.58 million EURO. Their token sales will last until September 2018, so there are still many opportunities and there are still many attractive buying bonus offers if you buy them in the near future. Just so much information from me regarding this Pool Of Stake project. For more information and more details you can follow their official link which I will share at the end of this section. Hopefully useful and thank you for visiting.